Let’s race on the highway in cartoonish blocky cars and over take the heavy highway traffic in 3D Highway Blocky Rush game which you can download free from Window Store for your window device. If you are a best car racer then you must feel the thrill of cube racer, take the challenge to compete with other blocky rush highway traffic in this real cartoonish environment. Car racing (also known as auto racing, motor racing or automobile racing) is a sport involving the racing of automobiles for competition. The main aim of an individual event is to drive the car as fast as possible and win the competition. Traffic Car racing is the most famous hobby in the world but best cubic cars made this game more interesting with free game. So you must feel the thrill of blocky car racing and enjoy the beautiful cube cars and have fun while playing Heavy Highway blocky Racer. 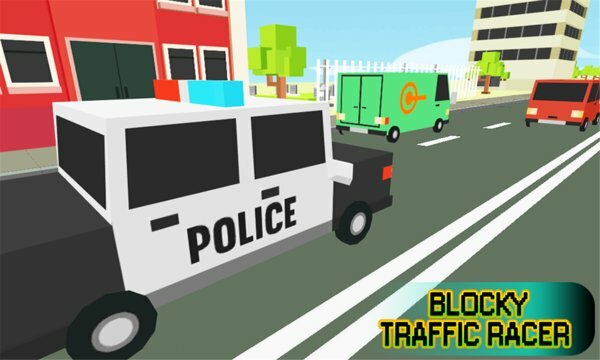 Traffic heavy highway blocky Rush is a high impact endless cartoonish blocky car racing game where you drive your car with blocky rocky roads and cubic highway traffic, put behind the wheel of crazy cube vehicles and avoid to hit with them. Earn cash to unlock cars and drive the others fast and furious rocky cars to play at extreme traffic racer track. 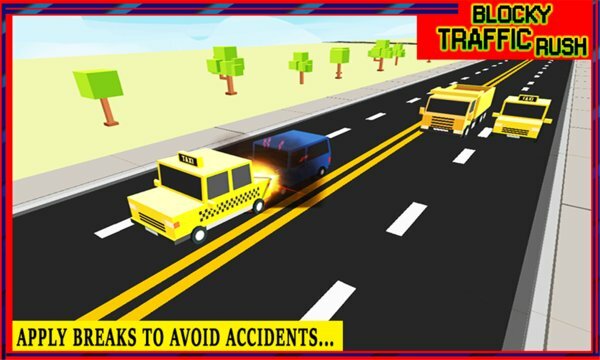 During game play you need to avoid to hit with the other heavy traffic like Cars, Trucks, Trawlers, School Bus, Ambulance and Heavily Armored military vehicle. • Touch break button to slow down. •	Cool 3d Blocky Graphics with Realistic Car Physics. •	Endless highway road with fast cartoonish traffic cars. •	Smooth and realistic car handling. •	High speed arcade racing with tilt controls. •	Stunning and fabulous fast paced 3d visuals. Download & enjoy the “Highway Blocky Rush” game and don’t forget to give your valuable suggestions and comments to improve our game.